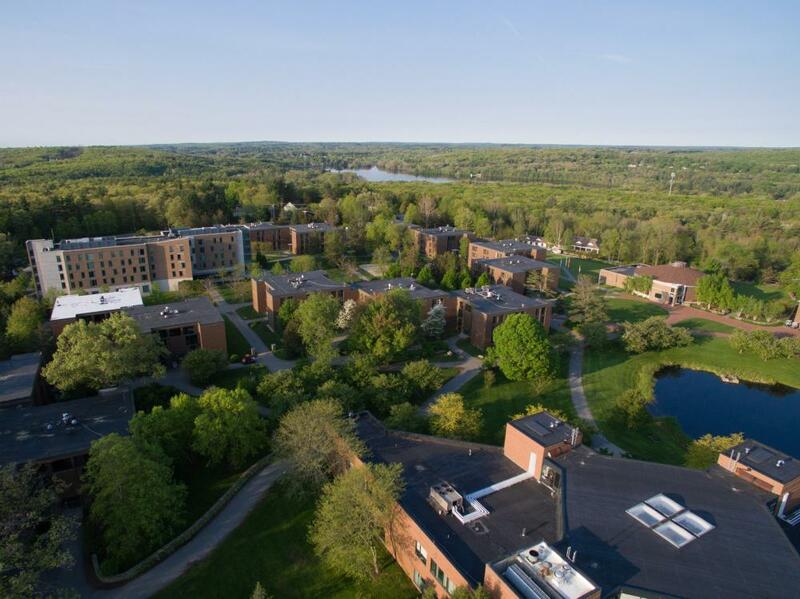 Bryant University is securely set on 428 lush acres in Smithfield, Rhode Island—just 15 minutes from TF Green Airport and Providence, RI and one hour from Boston, MA. 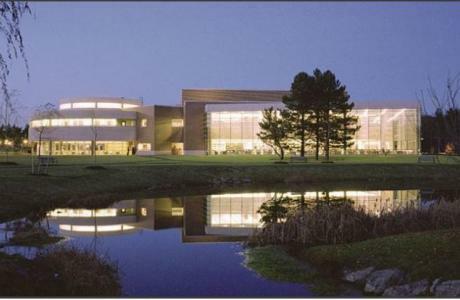 Our campus provides a motivating educational atmosphere that can only be found in a college setting. The surrounding Providence area presents visitors with an abundant amount of opportunity for relaxation and recreation. 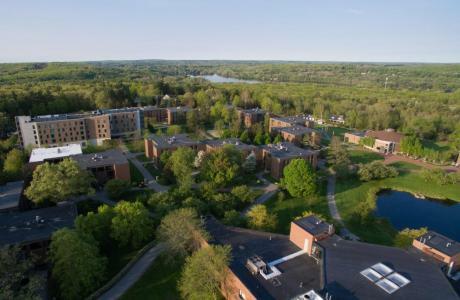 A contained campus in a quaint town, Bryant University is the ideal Rhode Island location for groups looking to feel safe while still remaining close to major U.S cities. 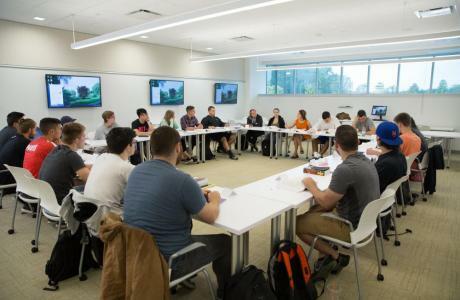 The Office of Conferences & Special Events at Bryant University provides meeting and event planning services to external businesses and organizations and coordinates several special events for the campus community. The Providence area conference staff has extensive meeting planning experience. 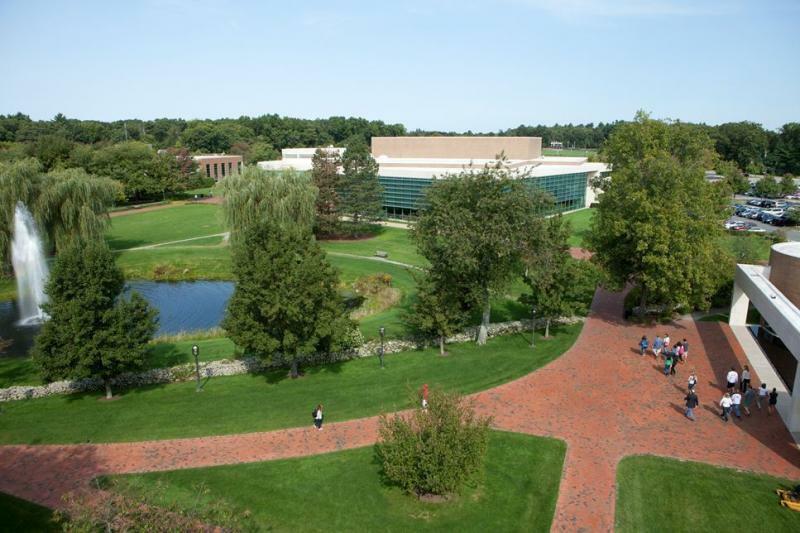 During the planning process, our Bryant University staff will discuss your program, goals and budget. 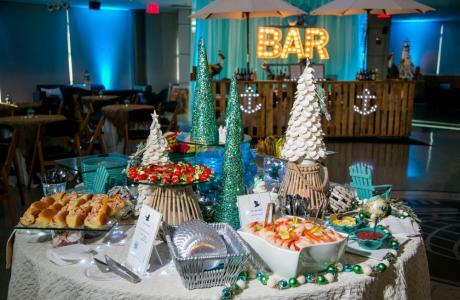 With this information, we will work with you to develop the most appropriate plan for your Bryant University event. 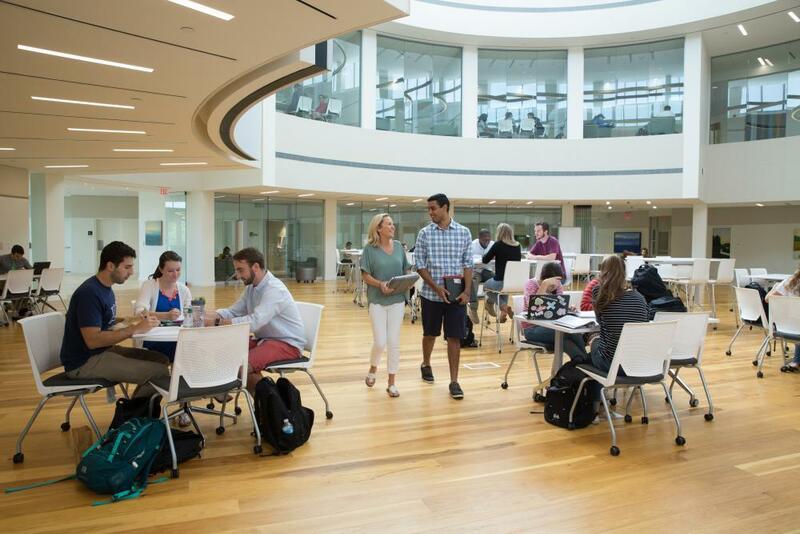 We will help you choose the best meeting facilities and event services and then act as your liaison to relay your needs through departments on campus. 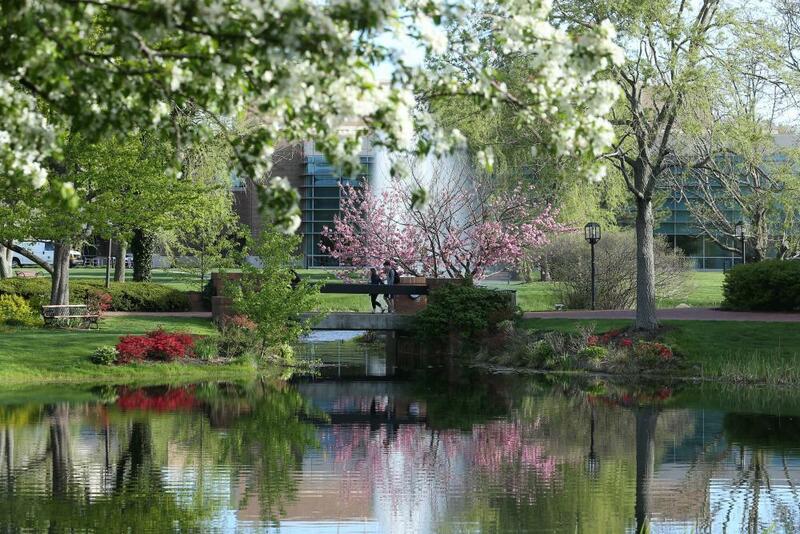 Let us take the stress out of planning and show you why Bryant University is the perfect spot for your next Providence, RI event! 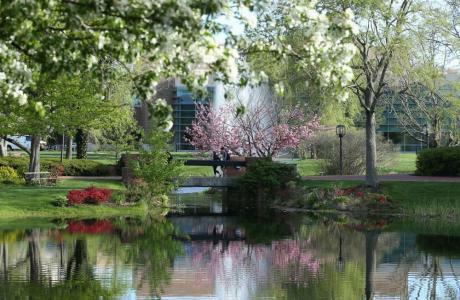 The Princeton Review has included Bryant University in their "Top 25 Most Connected Campuses" list. The entire campus is Wi-Fi enabled. Guests are issued a password for the duration of their stay that enables them to connect multiple devices at no charge. 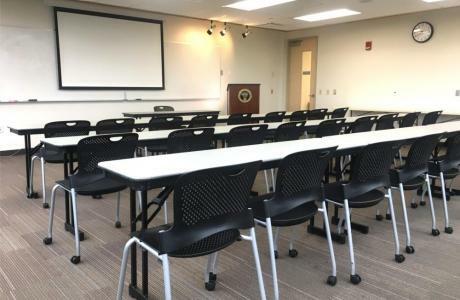 Most classrooms and meeting rooms are equipped with built in projection equipment. Several feature smart boards and document cameras. Breakout Rooms	 During the summer months, the main academic building, the Unistructure, offers a total of 50 standard breakout classrooms. Each classroom has a capacity of approximately 35 and furniture can be rearranged for various purposes. Each classroom is also equipped with a built in projector and audio visual system. 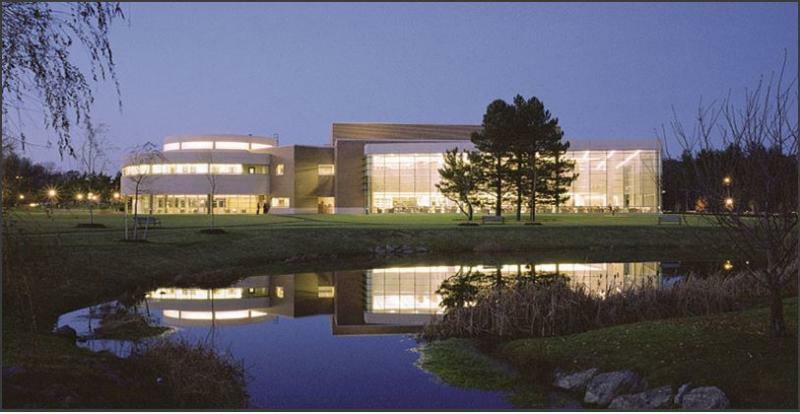 Fisher Student Center: Rooms 2A/B	 Rooms 2A and 2B open and combine to accommodate a maximum of 120 people. Separately, Room 2A can accommodate 32 theatre style while Room 2B can accommodate 68 people. Each room is equipped with projection ability as well as audio visual and can be arranged to meet your specific needs. Fisher Student Center: 2C	 Room 2C is located on the second floor of the Fisher Student Center and can accomodate 80 people theatre style. This room is equipped with projection ability as well as audio visual and can be arranged to meet your specific needs. Fisher Student Center: Heritage/Papitto	 The Fisher Student Center, Bryant’s newly renovated vibrant hub for collaboration, experiential learning, and relaxation, offers two mixed-purpose spaces on its first floor, Papitto and Heritage, that can be used separately or together and combine to accommodate 200 people. Heritage can hold a maximum of 90 and Papitto can hold a maximum of 115. Both rooms are outfitted with state of the art audiovisual ability and seating can be arranged to meet your needs. The Grand Hall	 Located in the University’s George E. Bello Center for Information and Technology, the Grand Hall is an ideal venue for special events and exhibitions. 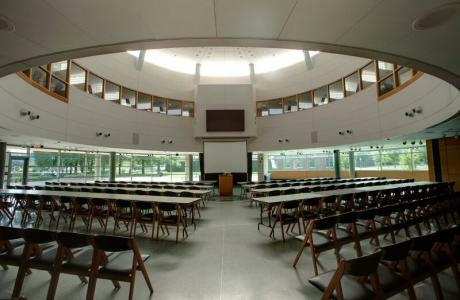 The hall features a media wall, an A/V booth equipped with state-of-the-art technology and accommodates 400 people lecture style and 200 people dining style. Interfaith Center	 Designed in 2009 by the internationally-renowned architectural firm Gwathmey Siegal & Associates, the award winning Interfaith Center is a 11,000-square-foot (1,000 m2) non-denominational place of worship and reflection. The main chapel features a water wall, grand piano and built in audio system. Additionally, there are two smaller rooms that accommodate approximately 40 and 60 each. Management Resource Complex, Room 3	 Located in the main academic building, MRC 3 is a versatile meeting space ideal for smaller groups. It is equipped with built in audiovisual equipment and whiteboards. The room’s maximum capacity is 50 people and the seating can be arranged to meet your meeting style requirements. Janikies Theatre	 Janikies Theatre seats approximately 400 people in a theatre style venue. This venue is fully equipped with stage lighting, a state-of-the art sound system and audiovisual equipment to produce professional presentations. Management Resource Complex, Room 4	 Located in the main academic building, MRC 4 is a versatile meeting space. It is equipped with built in audiovisual equipment and whiteboards. The room’s maximum capacity is 120 people and the seating can be arranged to meet your meeting style requirements. Multipurpose Athletic Center	 The air conditioned spacious MAC is a 15,000 square foot raw space available for various large events and exhibitions. 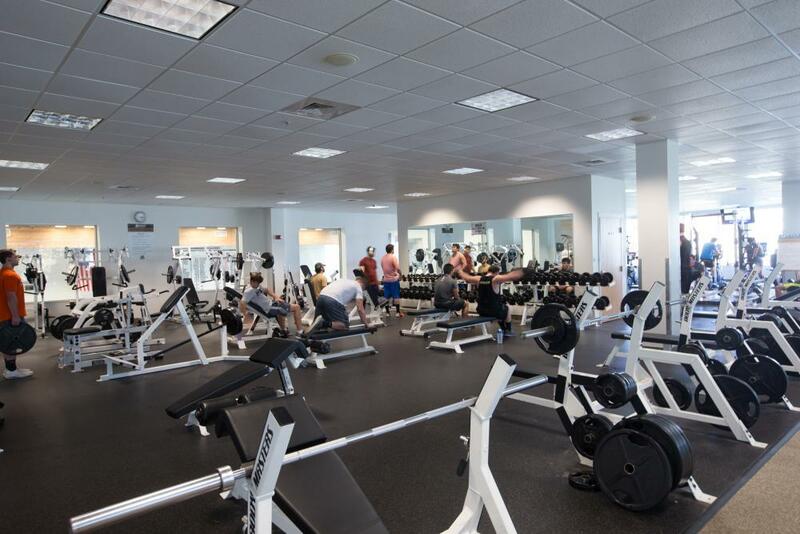 The space accommodates 1,500 people and can be arranged to meet your specific needs. From small morning coffee breaks to elegant hors d’oeuvre parties and theme buffets, our on-site catering provides menus filled with fresh, contemporary ideas. 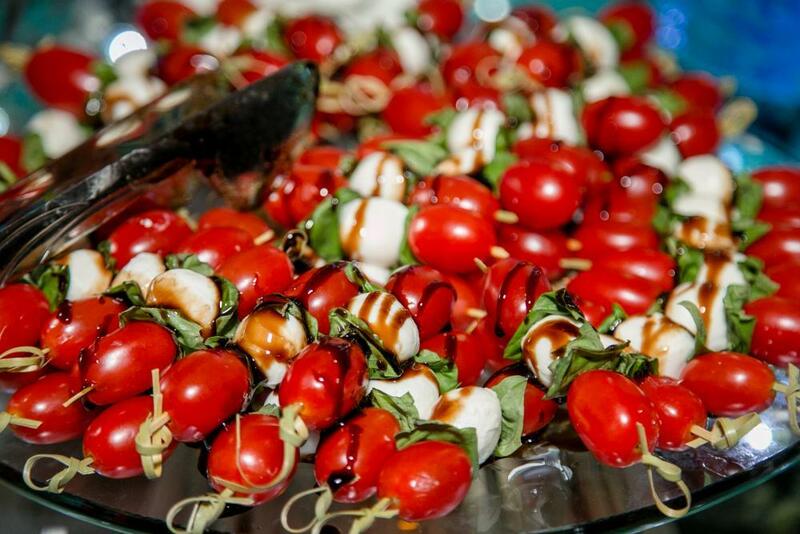 The catering staff will deliver the quality food and service necessary to ensure your event is a success. Centrally located, Salmanson Dining Hall offers all-you-care-to-eat dining, serving Breakfast, Lunch and Dinner. Our food is highly rated by all of our guests and our dining staff is friendly and knowledgable. Menus can be tailored to your group preference. Allergies can be accomodated and there is a nutritionist on staff. One-Stop Shop Conference Office	 You’re not alone while planning your conference, meeting or event at Bryant University! 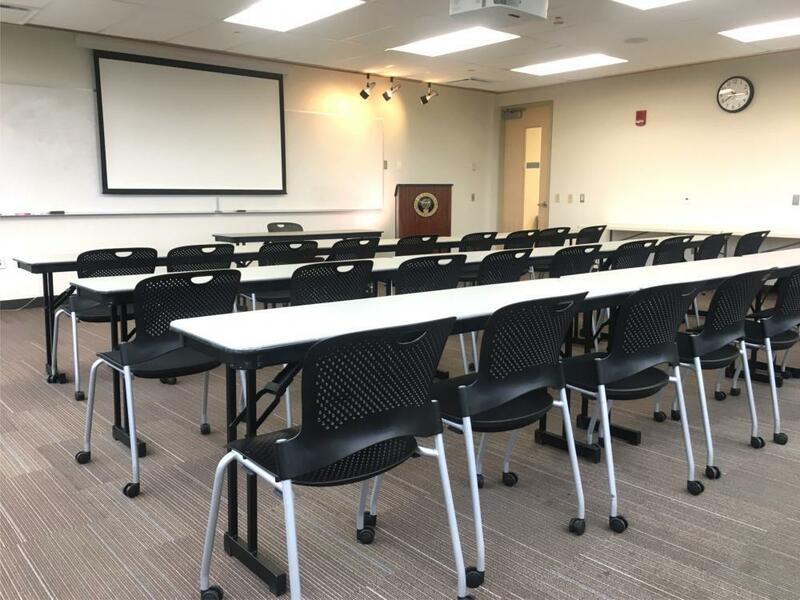 Our Conference Office, a One-Stop Shop, is equipped with expert personnel that will coordinate all campus services associated with your visit. Rentals	 If we do not have something on site, we will happily take care of the rental process. Our strong relationship with local vendors in both Rhode Island and Massachusetts allows us to secure reasonably priced rentals of anything, from a dunk tank to light towers! Indoor and Outdoor Events	 Bryant's spacious and well-maintained campus is perfect for both indoor and outdoor events. 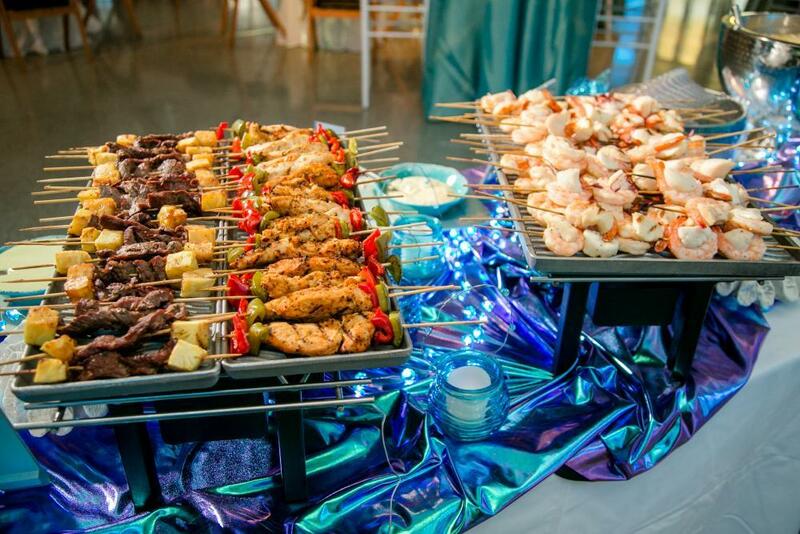 We regularly rent tents for a variety of client outdoor dining and activities, such as the annual Northeast Gas Association Clambake shown in the photo! Bus and Shuttle Service	 We will coordinate any ground transportation to off-site locations during your conference or event. 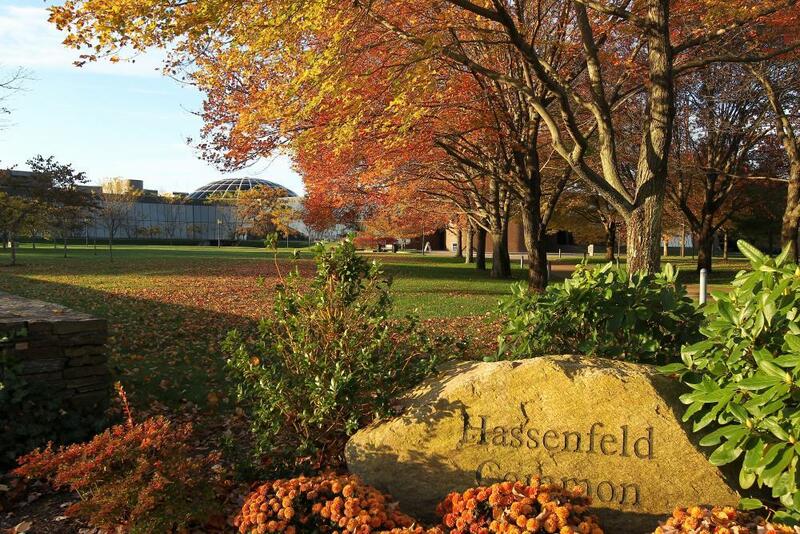 Our location allows you to enjoy a host of attractions in Rhode Island and Massachusetts! Smart Classrooms All classrooms include a technology station featuring a PC, internet access, VGA, HDMI, DVD system, and video projection equipment. Computer Labs There are 5 computer labs located in the Academic Building that feature instruction stations as well as audio/visual projection equipment. Technical Support Our Conference Office personnel will work directly with our Audio Visual Department as a liaison for all of your technological needs. The AV staff will also be on-site during your stay for an additional needs that may arise. Newport, RI	 Within a one hour drive, enjoy scenic Newport, RI. Rich in history, Newport is home to mansions that you can tour, miles of beaches, Fort Adams State park and the famous 3.5 mile Cliff Walk that traces the edge of the sea. Dining and shopping options abound on Thames Street in the downtown area. 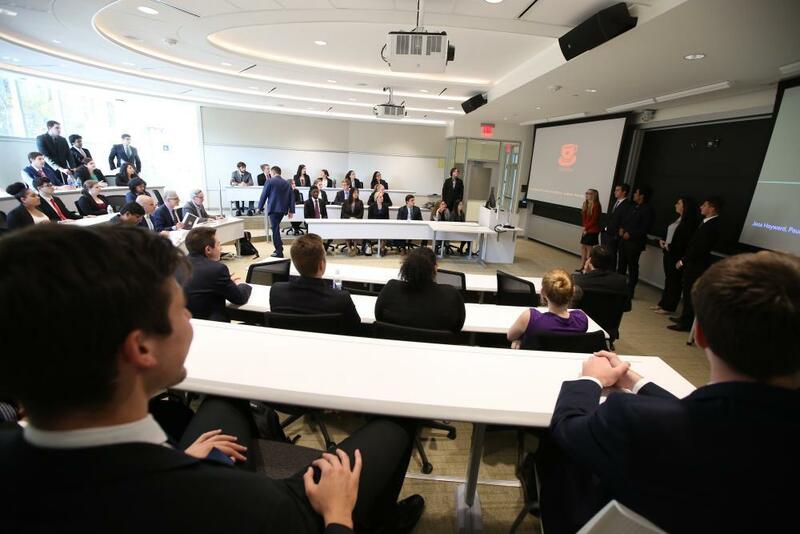 “On behalf of Northeast Gas Association, we would like to extend our sincere gratitude to Bryant University Event Conference team for another incredible Gas Operations School (GOS). 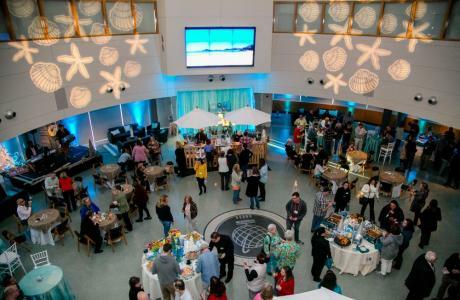 This event would not be possible without your excellent staff, whose creativity, energy and attention to detail make this a truly "five star" event . Thank you again for all of your help and support during the GOS event. We appreciate all that you and your team did to make it happen." "We have held our summer workshop at Bryant the last few summers and it has been a wonderful experience. 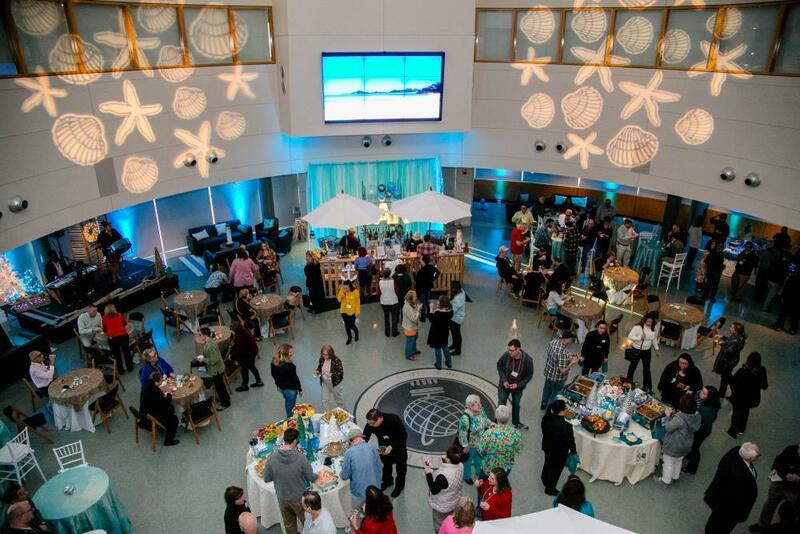 From the conference staff to the student workers, everyone is great to work with and extremely helpful in planning a successful event." "The Conference Office has been extremely helpful in arranging our camp program. The staff is very friendly and easy to work with, and the excellent set up of the dormitories, fields, and meals has ensured that our coaches and campers have been able to really enjoy their camp experience."